Set yourself apart from the crowd and design your own clothing and accessories using your own photos! With our wide range of clothing options, you can customize your outfit head to toe with your most cherished memories. Choose from a variety of exciting templates and backgrounds to not only compliment your pictures but your own inimitable style! Designing your own custom clothing and accessories couldn’t be easier. We offer a wide array of customized templates and backgrounds that will allow you to create the fashion accessory of your dreams! Simply choose your photos and use your own creative insight to build your new shirt, hoodie or tote bag with our convenient project builder. After gathering your photos, upload them directly to your MailPix photo folder from your computer. Then, choose your favorite clothing item or accessory! Select your customized options including background templates and photo layouts. Once you have you layout ready, simply drag your photos onto your garment in the project editor. You can even add your own text for a more personalized look. Afterwards, review your layout and then place your order. Once your photo clothing arrives, put it on and show off your favorite photo in style. Impress your family and friends with your new customized outfit and let your personality show with your new photo scarf, personalized scarf or beach towel! Are you looking for a fun way to display your favorite pictures? Now you can cultivate the look you’re going for by creating a photo T-shirt that showcases your fondest remembrances. We offer a white photo T-shirt as well as a full color photo T-shirt that are perfect for displaying your favorite memories and personalized text. 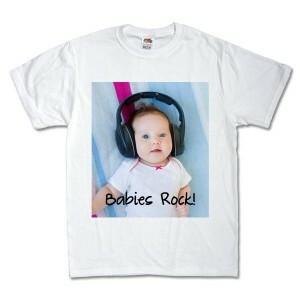 Pick from an array of adult and youth sizes and templates to create custom photo t shirts for everyone in the family. Perfect for family reunion shirts or simply displaying your best vacation photo along with your own personalized text. No matter the photo, we have the custom options for the picture perfect T-shirt. With a choice of several exciting colors and dozens of photo collage layouts, you can design the perfect hoodie to show off your favorite photos and distinctive style around town. In addition to choosing your hooded sweatshirt color, you can select from a wide range of background templates to compliment your photo and customized text for the ultimate fashion hoodie design. Add a fun snapshot of you and friends or include a photo with your favorite quote and create a hoodie that speaks volumes about your distinct character and personality. Our custom bandanas are available in a range of styles and templates to accommodate anyone’s taste. You can accessorize your outfit in a variety of ways with our photo bandanas. Wear one as a classic head wrap, around your neck or even put them on your dog for a colorful pet accessory. Choose a background color that accentuates not only your photos but also your favorite outfits for a truly unique look. Perfect for any time of year, our popular photo scarves can be designed with a collage of your most cherished photos. Simply upload your digital images and create a collage that displays your favorite family moments from wedding pictures, to vacation photos to fun, candid snapshots. Our collage tassel scarf is a great way to keep warm during the winter months while showing off your memories in an elegant way. Print a single photo or a whole series of images on a collage layout for a colorful addition to your wardrobe that you’re guaranteed to love. We even offer several color tones to give your photos an updated hue that is sure to draw looks. Create your own sheer photo scarf for a stylish, flowing accessory that will give any outfit a personalized and unique look. Just like our tassel scarf, you can show off multiple photos by unraveling your sheer scarf and sharing it with family or friends while dining out or taking a leisurely stroll around town. Each sheer photo scarf is lightweight, making it the perfect accessory for any outfit no matter the season. Perfect for the beach, a family picnic or even your daily trip to the gym or pool, our customized beach towels are available in several patterns and colors to compliment your photos. Print your layout with either a horizontal or vertical orientation and even add your own text for a more personalized look. Include a fun beach themed photo to create the perfect seaside accessory or a summer vacation photo for a unique pool towel that you’ll enjoy, year after year. With our project builder and our customized options, you can be sure to build the photo towel of your dreams. Our full print photo aprons are a great way to show off your photos while baking, grilling or cooking dinner for the family. Select from several collage layouts for a colorful apron that displays your fondest memories in their full glory. Incorporate your favorite digital images including snapshots of your kids, wedding pictures or holiday photos. Make every cooking experience an exciting one with a fully personalized collage apron designed by you. Great for a day trip, a quick run around town or even your text books for school, our personalized tote bags can be designed with your favorite photos and text. Choose from two different sizes and tote around not only your essentials but also your most treasured memories. 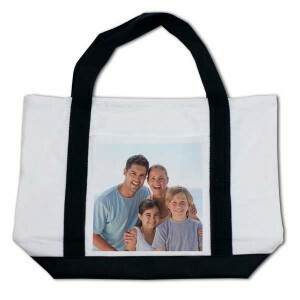 Our classic white canvas photo tote bags will prominently display a beloved photo for all to see and are practical as well. Carry around anything from baby gear to groceries or use it as a day bag to lug around your make-up, bottled water and other necessary items while out running errands. Our canvas tote bags are perfect displaying your all time favorite photo and can be customized with your own text for a practical and stylish showpiece of your most cherished memories. 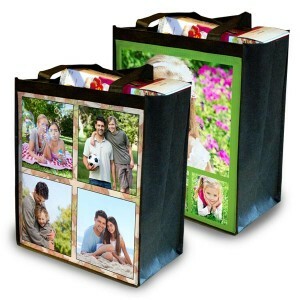 We also offer a full print tote bag option that can be designed with a colorful background pattern and an artistic collage of your most precious photographic memories. Choose from a wide range of colors to compliment any outfit or your unique personality. Make one for yourself or create one as a thoughtful gift for a loved one. Are you looking for something special and one-of-a-kind for a friend or relative? Maybe your friend has an upcoming birthday or you are still looking for a special gift for Mom on Mother’s Day. 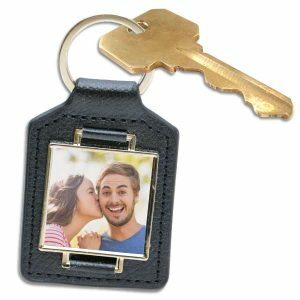 Our collection of customized photo clothing and accessories make great gifts that are bursting with style and personality. For your best friend, you can’t go wrong with our sheer photo scarf. 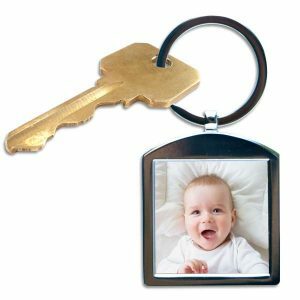 They go with any outfit and can be customized with her favorite photos. Even better, she can wear it year round as a colorful and unique addition to her daily wardrobe, no matter the occasion. With a wide range of photo collage options, you can design it with your favorite photos from your past adventures together, her wedding pictures or photos of her kids for a show stopping fashion accessory she’s sure to adore. 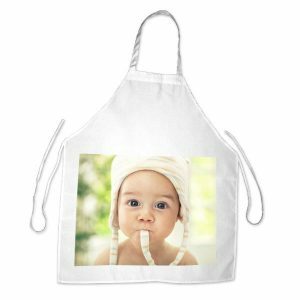 A photo apron would make a great gift for Mom any time of year. Choose a collage and add your favorite family snapshots to transform her apron into a gallery of her fondest memories. She can wear it while cooking in the kitchen or grilling out on the patio for a summer family get-together. With a multitude of collage options to select from, you are sure to create a personalized apron that will bring a smile to her face. Whether you are looking for a way to spice up your look, or you want to find a fun accessory for your nights on the town, our customized clothing and accessories are a great way to display your personal style, no matter the occasion. Maybe you have a favorite photo of yourself with your closest friend while mountain hiking. Create your own photo tote bag with your outdoorsy photo and include an inspirational quote for a colorful accessory you’ll be proud to display while heading off to work or simply running errands. Or, maybe you have a favorite photo of yourself with the family at the beach. Print it on a customized beach towel and select a background color that matches your picture to a “T”. Whether you are looking for the ultimate gift or you want to design yourself a photo T-shirt, custom flip-flops or a personalized tote bag, we have countless options and templates that will allow you to add a stylish flair to not only your outfit, but also your daily routine!